With the passing of the current heathcare bill in the American House of Representatives, I thought it was fitting to share. 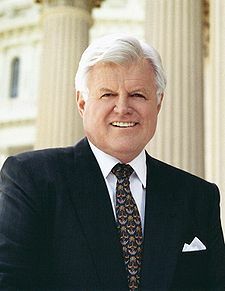 You were an inspiration to the world Mr Kennedy, here's hoping one day your vision will actually come to pass in the United States without any lame exceptions, opt outs and half arsed support. When I had my recent flu here in Australia, I made my way down to my local GP here in Mawson Lakes, presented my universal healthcare Medicare card, left without paying anything, and when I got the bill for my blood test I went to Medicare in the city and claimed a refund with almost no questions asked. And then there's the government run Medibank Private. Neither are perfect, but I suppose their existence makes Australia an un(free, patriotic, Christian) super evil red Communist dictatorship. Despite living in Singapore most of my life I'm not sure how their universal healthcare plan works, but according to the World Health Organization it has the lowest infant mortality rate in the world (equalled only by Iceland) and among the highest life expectancies from birth. Older post → #Anime K-On! 06: School Festival!